Mrs. Shahima Rehman is a development professional involved in the health, education and social sector development. She is equipped with Master’s Degree in Public Administration from the University of Punjab and Masters from Fletcher School of Law and Diplomacy, Tufts University USA and a diploma in Islamic Studies. She has been associated with Fatima Memorial System Lahore since 1984 when she joined as the Project Director of the system. 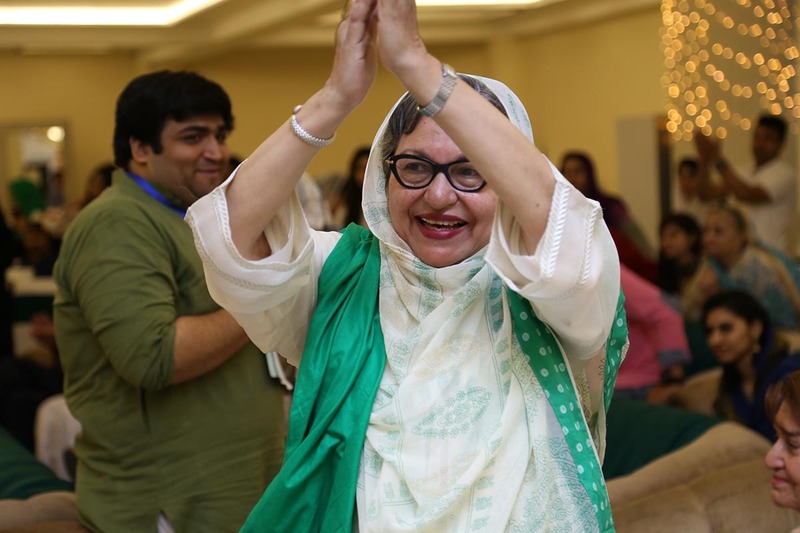 The first project she launched successfully was the Community Outreach Program in 1985 In 1992 Mrs. Shahima Rehman was appointed as Chairperson, Executive Committee FMS. It was under her able leadership that the change from a women and children hospital to over 500 bed general hospital took place in this period. Mrs. Shahima Rehman conceptualized the College of Medicine and Dentistry in 1995, which became a reality in 2000. Since the establishment of the college, a series of development of various sub institutions took place and a total of nine different sub institutions came into existence under FMS in just under ten years. The Fatima Memorial College of Medicine and Dentistry, the Saida Waheed College of Nursing and the FMH Institute of Allied Health Sciences (FMS) are a remarkable group of academic institutions that have evolved in pursuit of our mission to serve humanity, as one of a kind, not for profit third sector initiative, conceived and built as a national social service by the first Muslim Trust to be established in Pakistan. Proceeds are ploughed back towards the running and development of the institution as well as Qarz-eHasna for deserving students and the care including health care of underprivileged patients at Fatima Memorial Hospital. The sponsors do not receive any personal material gain or seek political advantage. It can be said to be a gift of the people, by the people and for the people of Pakistan. We at FMH College of Medicine and Dentistry endeavor to establish a blend of global best practices in medical education and research. We strive to train health professionals with the capability to perform the highest form of service to humanity; the Art and Science of healing. Healing is not restricted to purely parts of anatomy of the body; rather involves the holistic framework of human existence. Our belief is that healing is a gift that is of universal application without discrimination on the basis of caste, creed, colour, ethnicity or the ability to pay. In today`s world, health professionals can play a leading role in healing the fractures in society by bringing about tolerance, generosity of spirit and peaceful coexistence. We welcome you, our fresh entrants and congratulate you on preferring to become part of this system where you will be trained as; Doctors, Dentists, Nurses and Allied Health Professionalsunder one roof as a team of knowledgeable and competent Pakistani health professionals. You walk in today, to join this remarkable institution with the commitment to practice, research and advance the most honorable of professions: the application of medical science to cure the sick, save lives and solve the many unsolved mysteries of THE BODY, THE MIND AND THE SOUL. You are to become the backbone of health system and are future leaders to provide sustainable health outcomes for the country, the region and the world at large. May Allah the Almighty, to whose service Fatima Memorial is dedicated, Bless you with the ability to serve as you lead, to be outstanding professionals and be a credit to your Alma Mater and to Pakistan.